This delicious recipe has been generously shared by one of our great cooks, Simone. 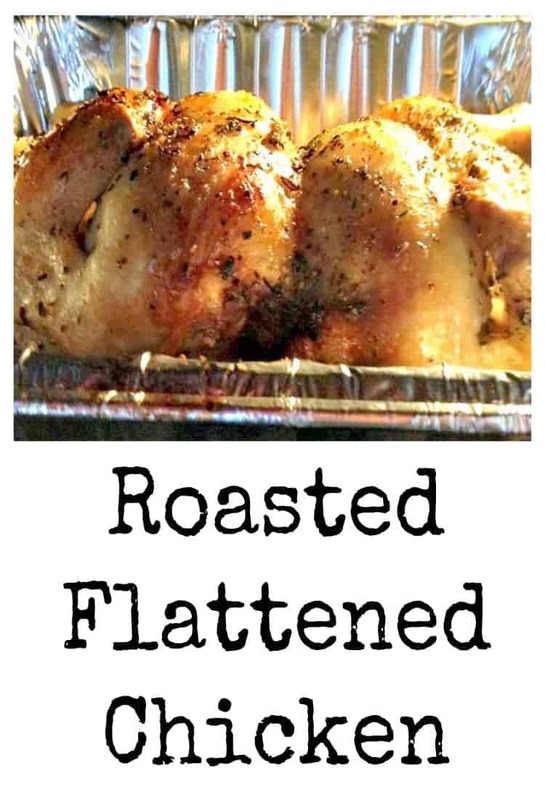 Roasted Flattened Chicken is exactly what it say it is! 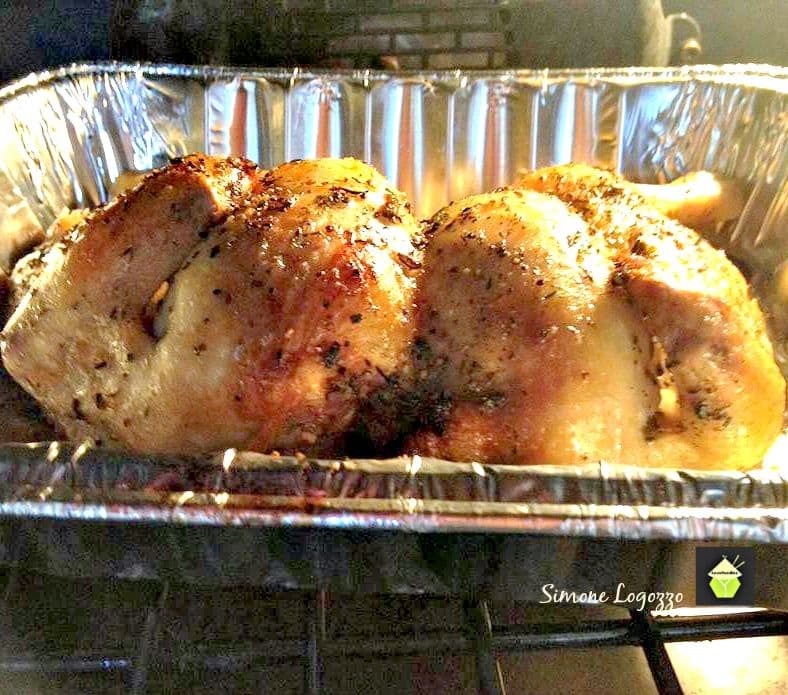 This is a great way to cook a whole chicken in less time, and ensure it is kept moist and full of flavour. 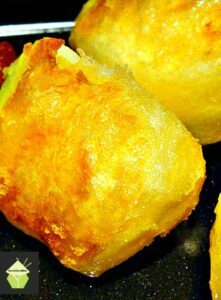 It’s a great easy recipe and served alongside your favourite vegetables and roast potatoes, what could be better?! You can also add some squash, carrots, potatoes etc in the same pan and cook altogether if you wish! It’s certainly VERY delicious! 1. Cut through the whole chicken along the backbone and open it up and give it a good flattening with the palm of your hand. 2. Marinate the chicken in the juice of 1 lemon, 1 tsp salt, 1/2 tsp pepper, 1 tbsp herbs du Provence and olive oil. 3. Place in pan and cover very tightly with aluminum foil. 4. Place in a pre-heated oven to 450 F for 1/2 hr, then uncover and roast at 400 F until juices run clear and it’s golden. (You can add some sliced up potatoes and onions for a meal in a pan). Allow to rest for 10 minutes before carving. Serve with your favourite vegetables and potatoes! 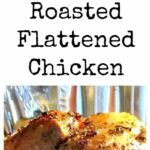 Cut through the whole chicken along the backbone and open it up and give it a good flattening with the palm of your hand. Marinate the chicken in the juice of 1 lemon, 1 tsp salt, 1/2 tsp pepper, 1 tbsp herbs du Provence and olive oil. Place in pan and cover very tightly with aluminum foil. Place in a pre-heated oven to 450 F for 1/2 hr, then uncover and roast at 400 F until juices run clear and it's golden. (You can add some sliced up potatoes and onions for a meal in a pan).